This is the last of my February catch-up posts. Thanks for bearing with me. 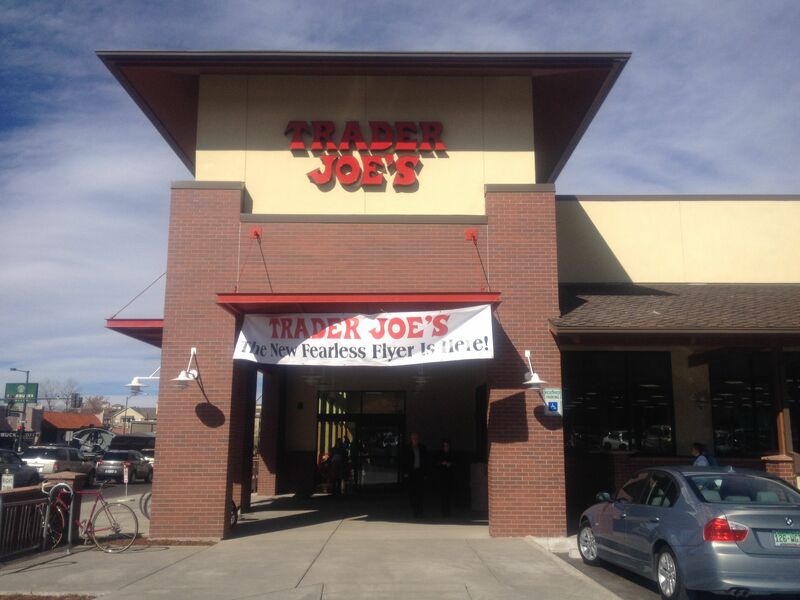 Last month three Trader Joe’s food stores opened in Colorado. Two are in Denver and one is in Boulder. They’re all about 1 – 1 1/2 hours from here, which is the closest we’ve lived to a TJs in a long time. Long-time readers might recall that a store opened in Omaha less than a month before we moved from the area in 2010. Because I’m a crazy lady, and because the boys had no school on the day the stores opened (Valentine’s Day), the day we visited the History Colorado Center in Denver, we made a short stop at the southernmost of the three new Trader Joe’s stores in Greenwood Village. The Greenwood Village store is in a rather well-to-do area of Denver. It was absolutely packed. Grand Opening Tip: Bring a friend. As soon as you walk into the store, grab a cart and get in line. The store was feeding a single line around the perimeter. It was about 25 minutes in line. You and your friend need to take turns browsing the store while keeping the cart in line. I put the boys in line while I browsed the aisles nearby. There was a line of people just waiting for a shopping cart. I grabbed a basket instead. We filled it up to the brim, and Jacob even offered to hold some of the larger items so we could fit more into the basket. He was such a trooper — of course, he loves Trader Joe’s as much as I do so if he could help the basket fit more veggie pasta and tortellini, he would do it. I was pleased to be able to stock up on frozen goodies, which I hadn’t done in years. However, the Greenwood Village store doesn’t sell alcohol, so I needed to plan another trip up to the next closest one. Jacob saw this and asked for it. It was…interesting. A couple weeks later I had a reason to go up to Denver again, and this time I headed up to the downtown Denver store on Colorado Blvd. This is the one with a liquor license. The downtown Denver location. It’s in a pedestrian-friendly part of the city. Parking was tricky. Getting to this location took much longer than I had anticipated. I figured out some detours through residential areas that kept me away from the incessant traffic lights. Even though this trip was about 2 weeks after grand opening, it was just about as crowded. Once again I had to grab a shopping cart and quickly get in line. I picked up a few items, but not much. The point of this trip was to pick up some Three Buck Chuck. There were Chardonnays left and that was about it for the white wines. I picked up a couple bottles and was on my way. I’ll just have to try another time. 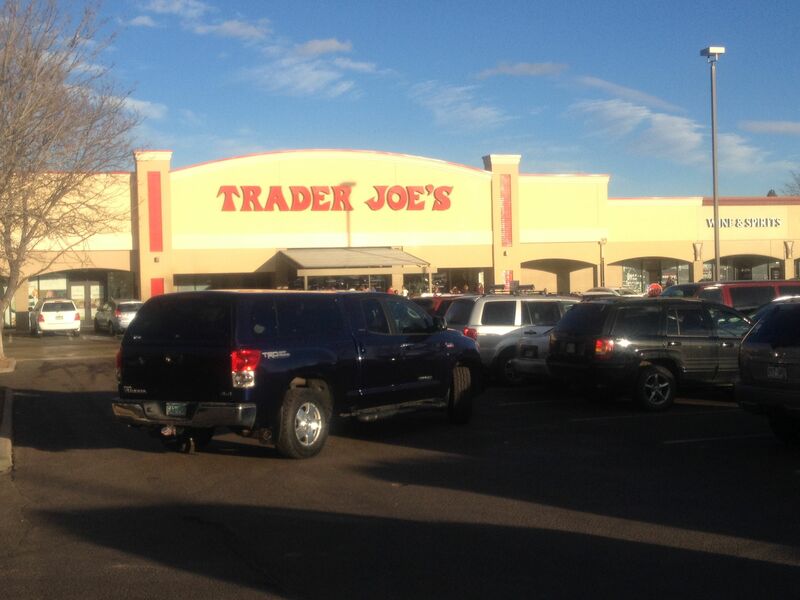 Yesterday it was announced that Trader Joe’s leased space in a nearby shopping center here in Colorado Springs. Oh happy day! The store won’t be open till 2015, but I’m thrilled at having a Trader Joe’s closer to me than the nearest commissary! Where Have You Been, Major Mom? 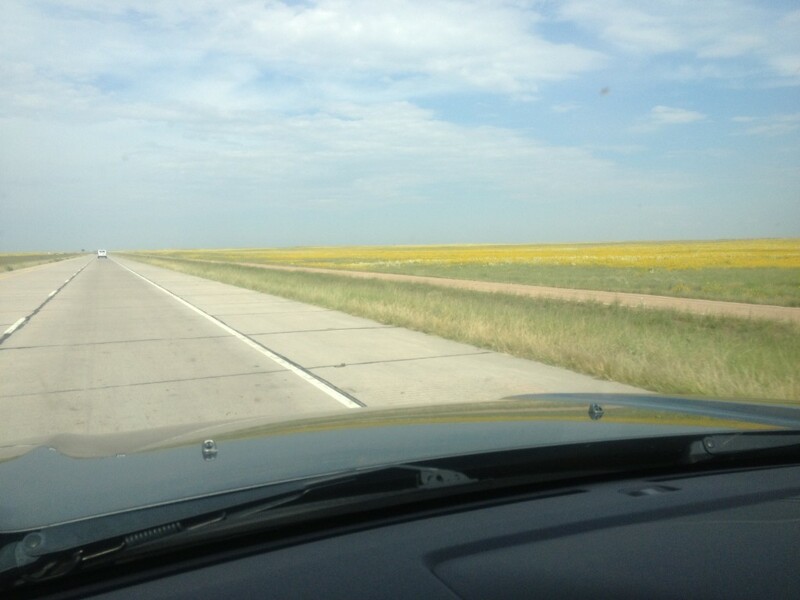 The endless fields of wild sunflowers helped keep me company on my drive to Nebraska in August. The profuse rains in eastern CO this summer have really made the area bloom. As you can see, otherwise I have nothing to look at. Yep, we’ve been busy! For most of the month of August, I’ve been playing hostess to a litany of contractors as we are aggressively trying to complete our basement. At the end of the month I went to Nebraska for 1 1/2 weeks of work. While I was there I completed (and passed!) one of my numerous Air War College essay tests. *Wait a second, wasn’t that a major fast-food corporation jingle? While I was in Nebraska, I did make some time to visit with my Pokeno girlfriends, have a nice dinner out with Shannon (who took me in at her house when the Offutt Inn was booked for the week), and enjoy a trip to Trader Joe’s! Several neighborhood Moms in Bellevue get together for a breakfast pot luck once a month, and a dinner potluck and game of Pokeno also once a month (on another separate day). The girls elected to move Pokeno night around a little so I could join them! 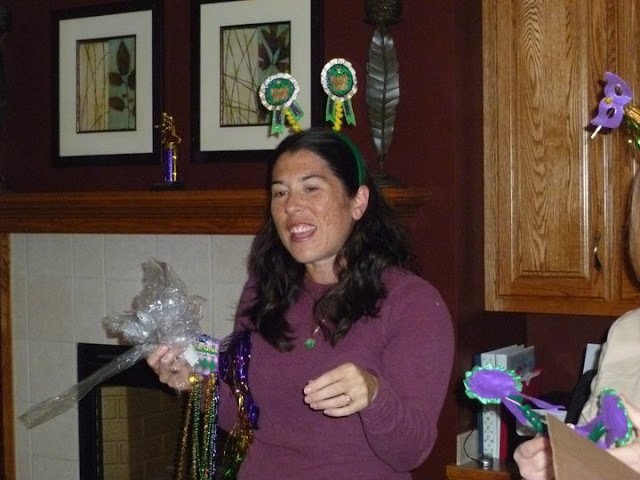 I shipped a box of Mardi Gras decorations to the ladies, and we had a blast dressing up and enjoying Cristi’s tater tot casserole. We have pictures of the Pokeno ladies from every month! Shannon and I also had a chance to go out together for dinner. Shannon was my adventure-buddy when I was in Omaha…she braved the 3-hours-each-way drive to the Ashfall Fossil Beds last summer! We also checked out numerous out-of-the-ordinary restaurants together, and this time around we had a hankerin’ for Ethiopian food! Shannon did the research. She found two places, both in the downtown Omaha vicinity. 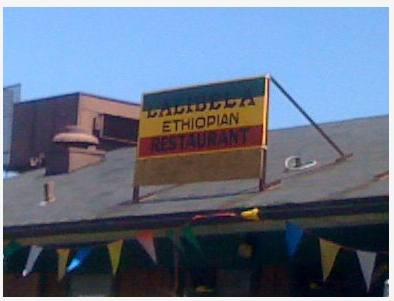 One was called “Ethiopian Restaurant” and the other called “Lalibela’s”. We chose “Ethiopian Restaurant” because it was closer to the highway and the weather still wasn’t great. The restaurant shares a business space with an Ethiopian grocery, and the grocery side was very full. The store owner — a very pretty young lady, probably in her 30s — came out and told Shannon and me that she was out of food. What? On a Friday night at 6pm??? Don’t even go there with the irony of it. We’re hoping it was from the weather…we got back in the truck and headed up the street to the 2nd choice (what are the chances of that??? TWO Ethiopian restaurants within about 5 minutes of each other!!!). The restaurant was rather empty, just two other couples at tables, eating their respective dinners. We ended up talking to one of the other couples, asking about what they were eating and getting some tips of what’s good and what’s not. Shannon and I each chose one entree and we grazed freely on both of them. I ordered something with seasoned lamb, while Shannon chose a vegetarian combo. I wish we had ordered two of the veggie combos, I didn’t care for the meat too much, but the rainbow of lentils (on the left) was awesome! Learning how to eat the food without utensils was also fun! There’s a basket in front of Shannon filled with injera, a flatbread that you use as your plate and utensil. Rip off a piece of injera and scoop away! Finally, even though I was quite tired from my 4-days in a row of work (wow, what happened to me? 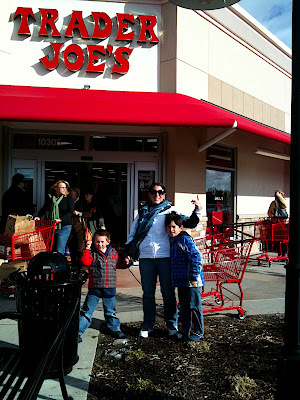 ), I took a trip out to the recently-opened Omaha Trader Joe’s and stocked up on the family favorites! This will last us till my next trip to Omaha! I hand-carried this home in a single TJ’s reusable shopping bag. I got crap from Jacob for not picking up some Dorothy Lynch salad dressing…sorry! Thanks to Shannon, Cristi and Laura for helping make my weekend back in Nebraska so great! 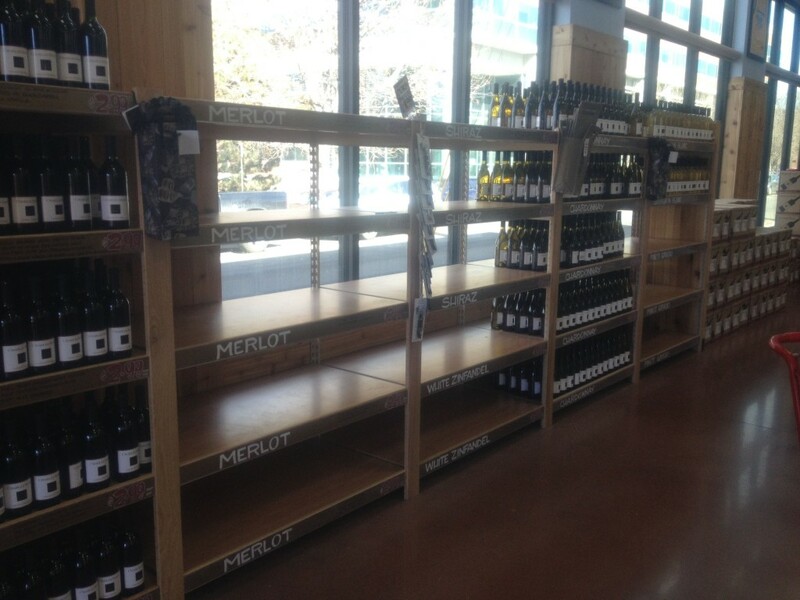 Welcome to Omaha, Trader Joe’s!! Okay, for me personally, it’s a day late and a dollar short…since we’re leaving in a week. I’m a huge Trader Joe’s fan! I can’t say exactly when I first went there. I know it was about 10 years ago and it was either the one in Commack, NY with my in-laws, or else in Falls Church, VA with one of my childhood friends, Naomi. If you aren’t in the know, then you deserve a little background. 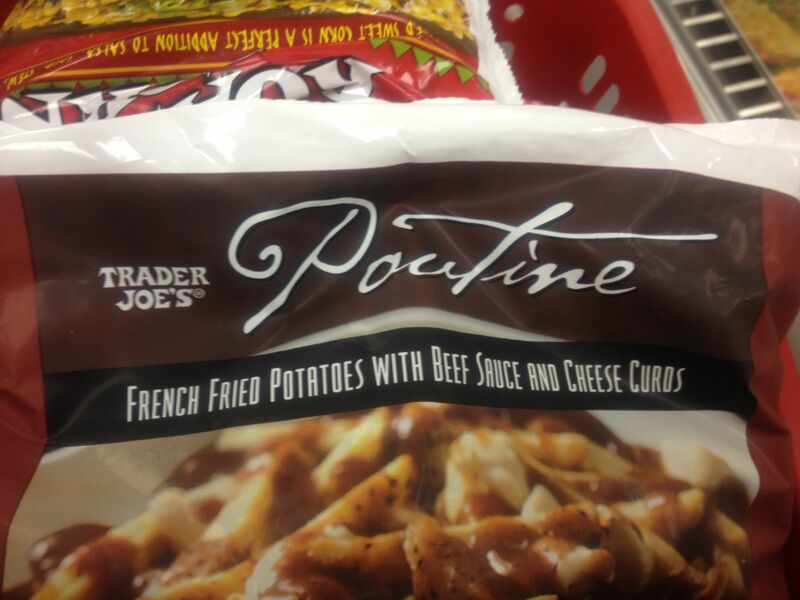 Trader Joe’s is a grocery store chain, with most of their locations on the east and west coasts. They are unique in that they market their own brands of many foods, many of which are very unusual. Such as pad thai kits, curry sauces, and pasta. Beer, wine and organic milk. They’ll carry other brands too, but again, mostly on the unusual side. It’s so much fun to shop there. The prices are very reasonable, and you know you’re getting good food with minimal processing. Their fruit and nut section is so much fun. Their coffees are fair trade, many of them are organically grown. About 6 months after we moved to Apex, NC, a Trader Joe’s opened up right up the road from our house. I was so excited to make TJ’s our family’s local grocery store. It was awesome! Then we moved to Omaha, and were once again without TJ’s (although being near a commissary again helped). I saw a page on Facebook called “Bring Trader Joe’s to Omaha” where several folks were trying to work with the company on bringing the store to the midwest. I guess TJ’s need to put a distribution hub somewhere near here first. Because of that page, I knew this past winter that TJ’s had taken a lease on a property in Western Omaha and on November 12th they had their grand opening. A store in West Des Moines, IA had opened a week prior, and in 2 weeks a store will open in Lincoln, NE. So here I am on November 13th, happy about there being a Trader Joe’s nearby. Yeah, it was crowded! Fortunately, we knew EXACTLY what we needed: coffee, pasta, nuts and wine. Large volumes of each. We really enjoy the Charles Shaw wine and picked up TWO CASES of the stuff! Plus Jacob’s favorite veggie ruffle pasta, an assortment of nuts for cooking and baking, and several large containers of their coffee. So I have my fix, which will carry me for several months as I make my way back into a Trader Joe’s drought.